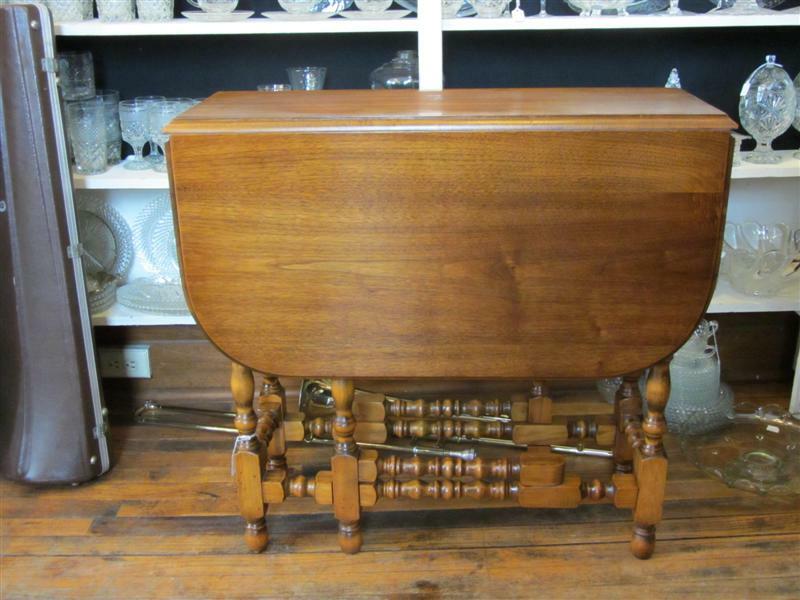 Wonderful Walnut Gate Leg Table. This is the type of table that has a lot of uses. 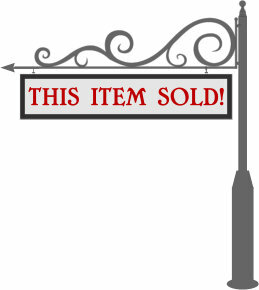 Great for an entryway or hallway when sides are down or extend it to its full size and use it that way. 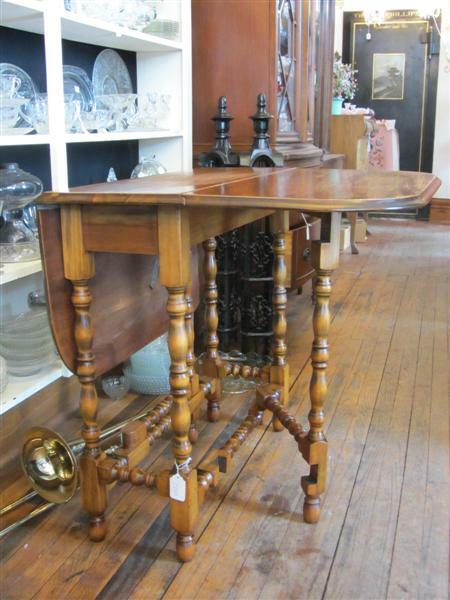 This table measures 32″ long x 29″ tall x 12″ deep. When it is extended it measures 42″ x 32″. The legs are spindle style and really add nice detail to this table.